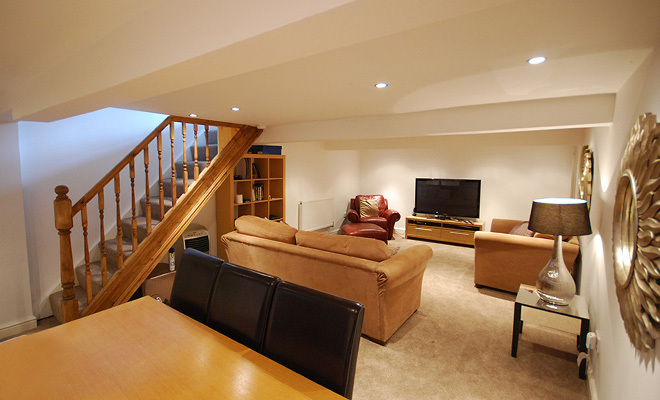 Looking to convert your old basement in Wilmslow ? Tetlow Construction are basement conversion specialist’s – we can handle your basement conversion from start to finish. Our experience with all kinds of basement / cellar conversions makes us the ideal contractor to turn your basement into something special. No matter what you want to use your Wilmslow basement for – we can design, plan and transform your basement into the perfect solution just for you. Tetlow Construction can provide you with a cellar or basement conversion in the Wilmslow area and beyond. We can offer a specialist service in the conversion of damp or redundant cellars into a modern living space to create and additional environment in your home that can have a multitude of uses. Whether you convert your cellar into an office, a study, a utility room, a bedroom or living area, or even a games room, we can give you a highly professional service including full project management and planning from start to finish. We carry out basement conversions in Wilmslow and throughout the UK. Get a free, no-obligation Wilmslow Basement Conversion quote from Tetlow Construction - the basement specialists.